I scream, you scream, we all scream for… Soft Serve! Perhaps the words don’t roll off the tongue as romantically as ice cream, the much denser, higher milk-fat frozen treat that we all love and adore, but Soft Serve conjures up lazy days in the hot summer sun, road side stops with the parents after a day at the beach, dusty county fairs and, well, magic. 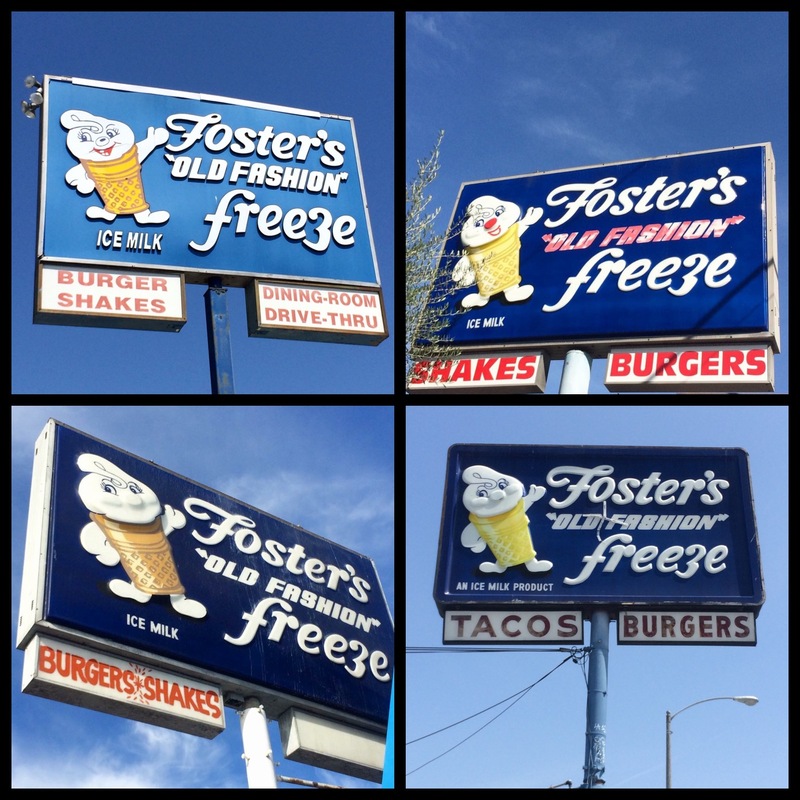 Here in California, since 1946, many of those idyllic magical spells were cast by a local Fosters Freeze. These little huts instantly bring memories of fun, freedom, smiles and sticky fingers to the last few generations. The little shoe box stands with plastic sliding take-out windows, concrete picnic tables and signs featuring a smiling ice cream cone, named Little Foster, are now decidedly vintage. Though 85 locations still remain, a sliver of their original number, these Mom & Pop franchises are slowly disappearing as Los Angeles gets more corporate and homogenized. The idea of a softer, lighter, air-whipped version of ice cream is said to have been invented in New York State by Tom Carvel, founder of Carvel Ice Cream, home to the infamous Cookie Puss. Apparently Tom Carvel’s original ice cream truck broke down on a hot day in 1934, causing him to sell half-frozen ice cream to passersby. His melting ice cream was such a hit, that a light bulb went off and Tom invented and patented the first Soft Serve machine, to use in his brick and mortar store which he opened in 1936. Dairy Queen invented their own machine in 1938 out of Illinois, possibly unaware of Carvel’s version. They began serving it in their stores in 1940. The difference between Soft Serve and regular ice cream is mainly two things: a lower fat content (generally 3-6%, versus ice cream’s 10-18%) and a higher air content. The air content is tricky, because with not enough air, Soft Serve becomes icy and dense; with too much air the Soft Serve loses flavor and melts too quickly. Most manufacturers aim for between 33-45% of volume. After World War II, entrepreneur George Foster was searching for the perfect business opportunity. As an investment he purchased development rights for the whole state of California from the Dairy Queen company. He originally intended to use their name and set up a series of franchises out west. When he arrived in California, he learned that the dairy industry here had enacted strict laws controlling the use of the word Dairy. Because of this, he was forbidden to use the Dairy Queen name and decided to call his new business Foster’s Freeze instead. (The apostrophe was later dropped.) His first location was opened on October 30, 1946 at 999 S. La Brea Ave in Inglewood, still in business today. Following that, George was extremely quick in opening new stores all over the state, which were run as franchises. Many of the locations now serve hamburgers and french fries as well, but their main staple was always Soft Serve, whether in cones, dishes, sundaes or shakes. By 1951, George had franchised out 360 Foster Freezes across the state of California. 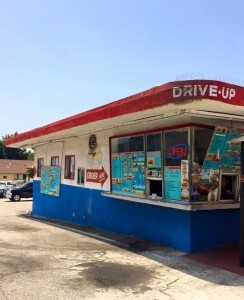 All of the locations, up until that time, used Soft Serve mix made by Compton Dairy. In 1951, George Foster decided to leave the Soft Serve world behind and sold control of his franchises for $1 million dollars to the Meyenberg Milk Products Company, who used their own milk products for the franchises, rather than Compton Dairy’s. The ownership of the Fosters Freeze company has changed many times over the decades and now has headquarters located in the San Bernardino city of Rancho Cucamonga. 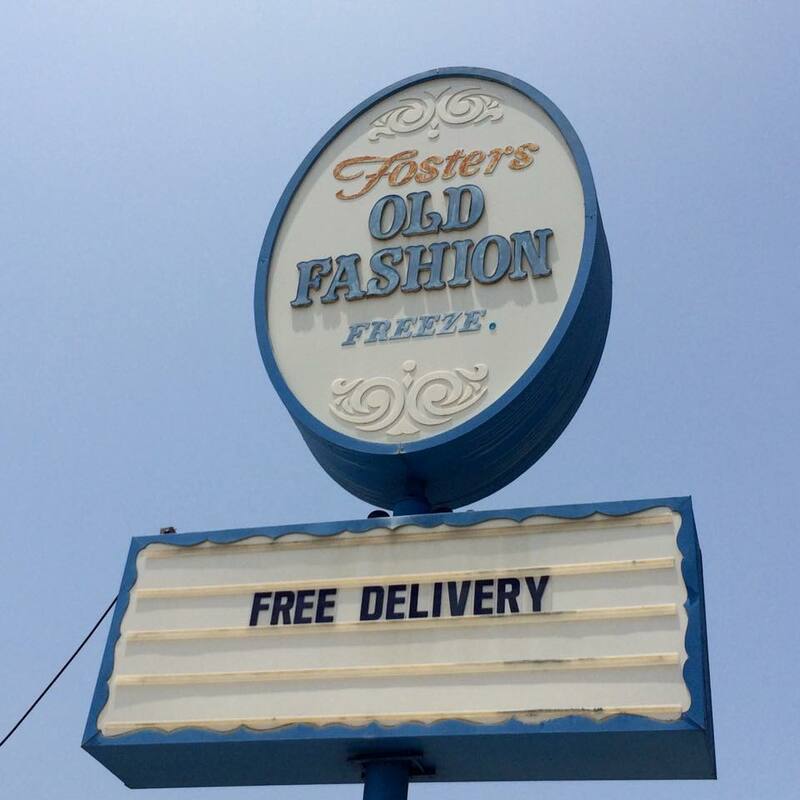 Eighty-five of the original stores remain and can be found listed on the Fosters Freeze website. Several of the surviving locations have interesting pop culture connections. 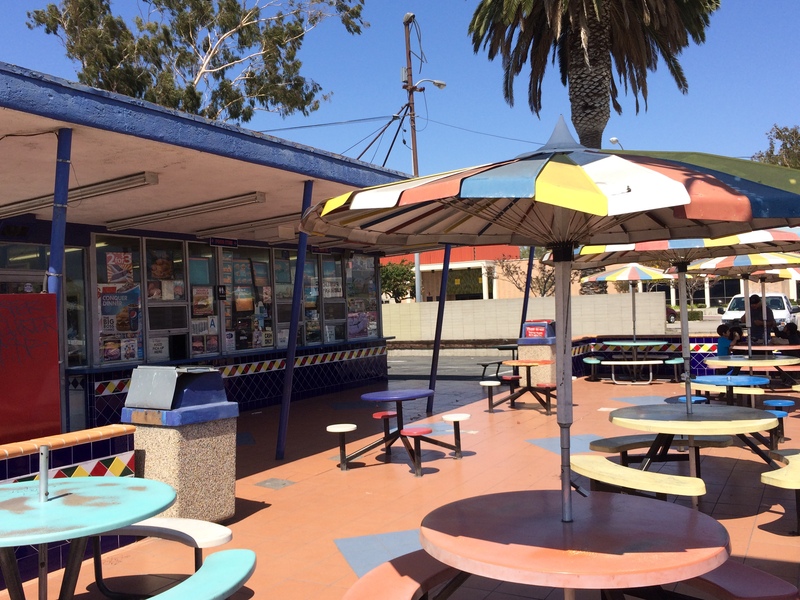 The Atwater Village Fosters Freeze was used as a location in the 1994 film “Pulp Fiction,” while the Hawthorne restaurant was a place where local band The Beach Boys used to hang out. The line about cruising through the hamburger stand in the Beach Boys song “Fun, Fun, Fun” is said to be about this Hawthorne location. In 1994, the EL Pollo Loco chain began serving Fosters Freeze in 163 of their restaurants, adding to its availability. 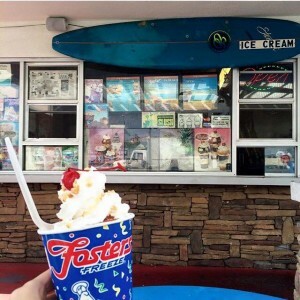 But no matter where else it is being served, going to one of the original vintage Fosters Freeze locations adds to the magic. This entry was posted in Food, Miscellanious, Offbeat LA and tagged Fosters Freeze, ice cream, Nikki Kreuzer, Offbeat LA. Bookmark the permalink. Great article, and just in time for the dog days of summer! Very nice. We always talk about going to the one in Atwater but then get caught up in something else. I can’t eat soft serve at Disneyland because something in it gives me cramps and diarrhea almost immediately. Not so with Cub and probably not at Fosters. I prefer the old style Little Foster because he had one tooth. loved this article. My family went into the Foster Freeze business in 1959. 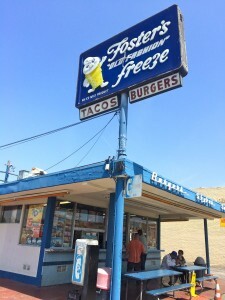 My grandfather opened the Foster Freeze in Carson California. My dad owned the one in Gardena, Glendale and Bellflower Ca. 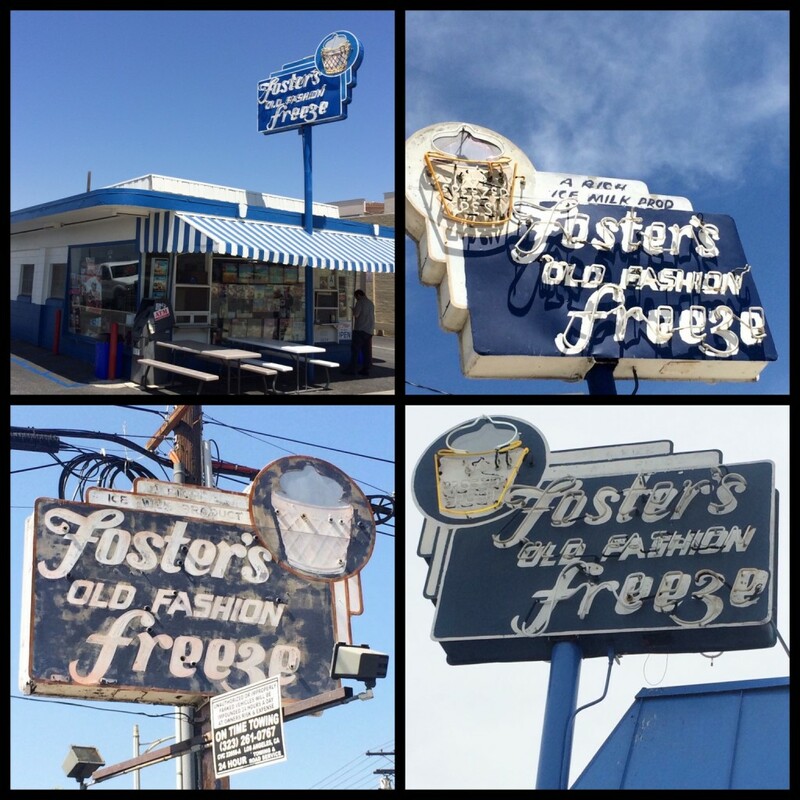 I worked many years in lots of different Foster Freeze stores. Worked with a lot of nice people and waited on a lot of nice customers. I am retired now. I miss working at the freeze and all of my favorite customers. Sure enjoyed this article . My Father -in law had the freeze on Carson street in carson cal..When he passed away my husband ran it with his mom. all my children worked there. 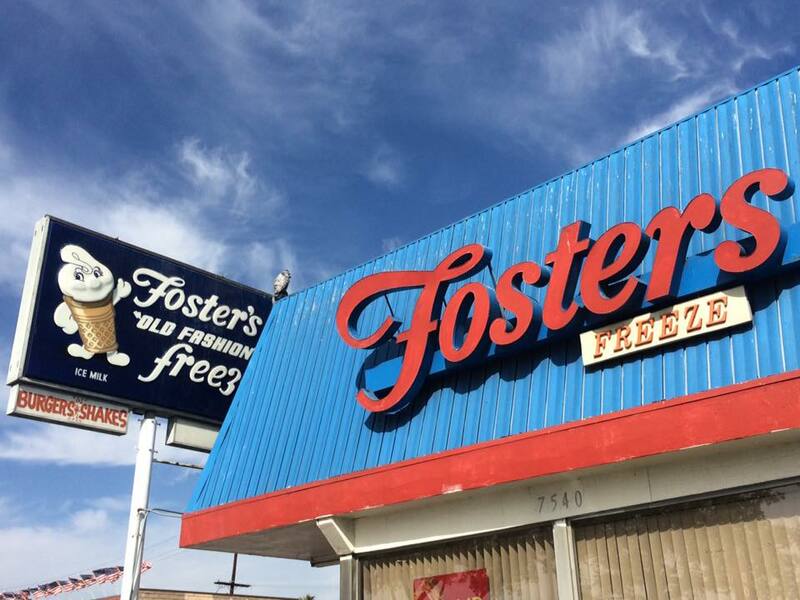 The Lynwood Foster Freeze was store #12; I worked there in 1970 for $1.35 per hour, under the supervision of Pete and Harry (both now deceased).